Amy Casey (Dinners for a Year) and Karen Tedesco (FamilyStyle Food) are both personal chefs and food bloggers. Amy's personal chef business, Eat! 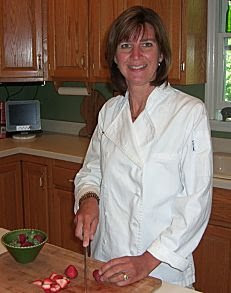 A Personal Chef Service, is based in Sparta, New Jersey, and Karen's, DinnerStyle, is based in St. Louis, Missouri. In this interview the two, who have never met, share the secrets of being personal chefs. You'll learn why you might need a personal chef or be a personal chef yourself. 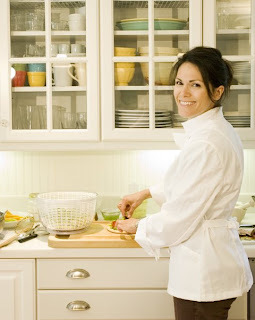 Karen Tedesco loves cooking fresh, creative meals for her clients. Karen: A personal chef usually is a person you hire to come into your home, do your shopping, do all your meal planning, meal preparation, and clean up. They package your food and put it away, so it’s all there waiting when you need a meal. Amy: You can focus on different aspects of being a personal chef. Some people do more of a catering type of business where they prepare dinner parties, baptisms, graduation parties, that kind of thing. Some go to client's homes and prepare people's daily meals. I’ll go in a make three different dinners for the family to enjoy during the day and they heat them up as they want when they get home. Some are private chefs that exclusively work for one family. So, you can focus on whatever you want to do as a personal chef - whatever fits in with what you like to do. Who are the main people that use personal chefs? Karen: The people that I targeted and the people that have been hiring me are busy people with families, with kids. Actually, my two clients now don’t have kids, but they are professional people. They love to eat, but they just don’t want to cook or they hate to cook or they don’t have time. So, they hire me to do that. Amy Casey works with her clients to come up with personalized menus. Amy: In my area, the main clients are busy families with two parents that are working and are tired of eating processed, frozen foods. They are looking for something nutritious and do not want to go to drive-thrus or purchase take-out all the time. I also have other clients who are busy families who also don’t want to go out to eat all the time. The families have kids who are in a lot of activities and they are running around most evenings at dinner time. They don’t have time to come home at night and make a good dinner, so they hire me to prepare their dinners for them. Basically, my clients are people who want to eat healthier, but don’t have the time to cook, just don’t like to cook, or don’t have the desire to figure out what they want to make. I provide the service and make it easy for them to eat nutritious foods without spending an arm and a leg. Amy: I usually leave my house in the morning about 8:30 to do the grocery shopping for my client (it usually takes half an hour to 45 minutes to do the shopping), drive to the client’s house, and depending on the number of meals I’m making for them (it’s usually 3,4, or 5), I’m there for between 4 and 6 hours. During that time, I am cooking two or three things at the same time to keep everything moving. It’s not like I cook one dish from start to finish. I usually have a pot of water boiling for the pasta, I have the oven on with vegetables roasting, and the grills heating up outside that I’m going to do shrimp kabobs on. I have numerous things going at once to keep the process going. Why cook in someone’s house versus bringing food in from your own home? Karen: Because of the way the business is set up. I don’t have a commercial kitchen to work out of. If I did, I would be more of a caterer and my insurance would be different (my liability and everything). The beauty of doing what I do is I have no overhead, but I’m also required by law to cook in the client’s kitchen because that’s how my insurance covers me. I’m almost like domestic help. Although, I hate to say it like that, because a private chef would be different. That’s a person who works for one family and that’s what they do - that’s their job, to be employed by that one family. Amy: For health regulations, I have to cook out of someone’s house when I prepare their meals. Some personal chefs cook out of commercial kitchens so they can prepare meals for their clients and deliver them. Some people prefer that I prepare their meals in their own homes because they know their kitchen and they just feel comfortable that I’m coming into their house to provide this service. They know exactly where the food is from start to finish. If they are home, they can see how the food is prepared. Do your clients typically watch you cook? Amy: Sometimes they watch me cook. But, when they watch, it usually slows me down because of talking as I’m preparing. A lot of times, they’ll come in, talk for a few minutes, and they usually have to go about their business. Sometimes, I have clients that aren’t even home. I have a key to their house or an access code and I just go in, cook their meals, clean up the kitchen, store their meals in the refrigerator or freezer, and leave a menu with heating instructions. At the end of the day, the client comes home to a homemade dinner. How often do you typically visit a client? Amy: It varies. I have clients that I cook for weekly. Some are every two weeks. I have one client now that is once a month, so I would make more meals for them. It just takes a longer day for me. But, they have more food that I put into their freezer. Clients that I cook for weekly usually just keep everything in their fridge and just heat it up over three or four days. Karen: Usually it is once a week. Although, I have a client who has me go every other week because they divide their portions up. I’ll cook 4-5 meals for them with four portions. They’ll have half of it in the refrigerator for one week and the other half is in the freezer for the next week. The challenge for me has been (because I like to cook fresh) coming up with things that will freeze well. You can’t freeze a salad, obviously. How do you decide what to make for your clients? Amy: When I first have a potential client, I meet with them and do a comprehensive interview. I ask them if they have any food allergies or any health concerns like diabetes or high cholesterol that they want me to take special note of, and any cuisines that they like (Asian, Thai, Mexican). Then, I go through a whole list of all different kinds of foods and ask them, "In general, does your family like chicken? Do they like chicken on the bone? Do they like chicken with skin?" It’s like a 5 page survey that I go through with them and then most times, the clients want me to pick their menu. About a week before I go to their house, I will decide on a menu for them and either mail it or email them my suggested menu for the week and they’ll say, "Great. That looks fantastic. We can’t wait to eat those five meals," or, "You know what, we really don’t like eggplant parmesan. We’ve had it before. Can you do a traditional lasagna for us instead?" It just depends on the client. Some clients want me to pick all their meals for them, other ones like to pick and choose on their own and have me throw in an occasional different dish for them. It’s just kind of a learning process. After I’ve cooked for them three or four times, I get to know the family’s tastes. If they have kids, what do the kids like and do not like? 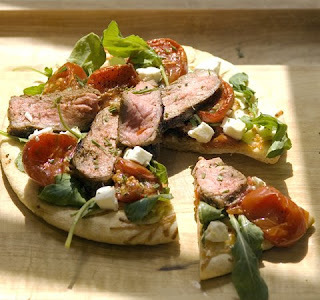 A lot of times, people like a personal chef because they get to try new foods that they generally would stay away from. I have one client where I make a snack for their kids each week that I go and she has the kids try it and generally it has some food in it that the kids said they didn’t like. But when they find out that I made it, they try it and find out, "Yeah, maybe I do like enchiladas with spicy sauce on it," and before they didn’t like it. So, it’s kind of a learning process between the client and me to find out the foods that they like and don’t like. Karen: I want to focus on doing more like fresh, creative meals and I customize menus for people depending on what they want. When I meet with a client, initially, we have a long assessment. We go through everything they like, they dislike, they’re allergic to, whatever, things that they want to eat. Then, every week, I craft a menu just for them. I don’t have a set menu. I think it would be a lot easier. A lot of personal chefs just have a menu that they’ve come up with and that’s what you choose from. But what I do is every week, I create a new menu and I send a list of choices and my clients choose what they want. So, I have more control over what I’m cooking and also I get to use more seasonal produce. I want to use more local rather than just having a set menu that’s always the same. It’s a lot more work to do it that way because every week I have to sit down and write a whole menu and it’s different for every client. Do you ever get clients that put in specific requests? Karen: These people haven’t yet. I’ve got these great clients that are just like, "Whatever you want to cook," and obviously they get to choose within this range of what I’m going to cook. It’s gotten to the point where I’ve got clients who start requesting things that they like: "I love that lasagna you make. Can you make that again?" Amy: Oh yes! One client this last week asked, "Can you make me brussel sprouts next week?" The beauty of having a personal chef is that I personalize the menu to them. It’s not like you’re going to a restaurant and they have twelve choices available. My menu is limitless for the client. If they like all chicken dishes, I can make them all chicken dishes with all different preparations. If they like a variety of foods, there’s no problem, I can make it. It’s not limited by just one menu, I have a limitless menu that I can go through and just pick and choose what they like. What do you bring when you go to someone’s house? Amy: It depends. I have everything I need to cook and package the meals. In the beginning, it sounds daunting that I need to have a whole set of pans and knives and measuring cups and all these utensils, but you can figure out the basic items that you need. Also, most clients say, "Just use what we have here. If you need to use this stock pot, don’t carry your own here. You can just use our stock pot." It’s usually a combination between the items that I bring and the utensils and pots and pans the client has at their house. Karen: I bring everything. I have wheeled coolers. That’s like my traveling chef. It has all my pots and pans, all my utensils, and pantry ingredients like olive oil and spices and I have a knife rack for all my knives - everything I need. Then, I do the grocery shopping the day of. When I’m supposed to arrive at a client’s home, I’ll go to the grocery store and do all the shopping and then I’ll bring everything to the house. Then, I set up and start cooking. What is it like to work in other people’s kitchens? Amy: Well, that’s the first thing. You go into a house and you see a kitchen and you’re like, "Oh, is this going to work?" But, you can just make it work. A lot of times, people have beautiful kitchens, but they’ve never even used it, so it’s like I’m going into a brand new kitchen when I go into this house. But most times, I just need the basics, a cook top, an oven. I usually don’t use the microwave or if I sometimes grill something for them, that’s all I need. It’s not like I need a gourmet kitchen to make their meals. It doesn’t matter what their kitchen really looks like, as long as I have working appliances. 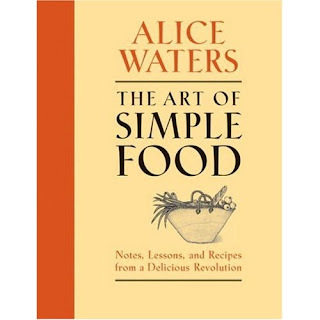 Alice Waters has been an inspiration for Karen. Karen: It’s interesting, and I think I’m adaptable. I think that’s why I really enjoy this. I know a lot of people that would find it hard. Sometimes when you go into a new kitchen, you have to get your bearings. "How does the stove work?" or, "The sink doesn’t work." Everything is different. But after an hour in somebody’s kitchen, I become accustomed to it and I get myself set up so I can work efficiently. Everyone’s kitchen is different. Some I’ve worked in are really incredibly gorgeous kitchens that are like you wouldn’t want to touch anything or leave smudges anywhere. Most people’s kitchens are just like normal kitchens. All I ask is that their stove tops are working, their oven has to work, and they need a sink and clean counter space. That’s all I need. And a refrigerator, obviously. Has the downturn in the economy affected your business? Amy: There really hasn’t seemed to be a change for me. Once I start cooking for my clients, they see how invaluable the service is to them, because actually I’m saving them time and money by doing this service for them. A lot of times, they are buying food that is less nutritious, that’s at a take-out or at a restaurant. They are spending more money than they want on the food, or they are buying groceries at the store and since they’re so busy, they never get to make them and they are throwing out groceries before they even prepare the meal. On average, I’m probably saving somebody between 10 and 15 hours of their time by preparing the food for them, and they know that the food is going to be there when they get home and it’s already prepared. I’m saving them shopping time, I’m saving them clean up time, and prep time. Once they try the service, they are pretty much hooked. Karen: I started my business in November and it was kind of slow just getting started. So, I don’t really know because I have nothing to compare it to by seeing how business was a couple years ago. I think if people are busy enough and they are working, this is something they are going to do. But, I think it does cost a lot of money. I like to tell people that if they’re not cooking at home (they’re going out to eat a lot), then they’re spending a lot of money on food. People have to eat. But, I’m sure there is some sort of impact with the economy. I don’t need that many clients, because there’s just one of me. If I have three clients or four clients a week, I am set - I’m done. Amy: It varies. I charge a fee for my services and then I add the grocery cost on top. Those are separate. If someone is always ordering fish and steak, that’s more expensive than the family that’s eating pasta and chicken. So, I’m not going to charge the same amount for everyone. It’s just my fee when I come to cook for them plus the cost of the groceries that I buy for them. Karen, do your clients also pay for their own groceries? Karen: Yes. I bill them separately for my fee and then I give them a receipt for the groceries they bought. What about pantry basics, like olive oil or spices? Karen: I consider that part of my pantry and so that’s built into my service - things like olive oil, butter, spices that I use. Amy: I have a spice kit that I can bring. I can take it with me to the client’s house (like spices, olive oil, salt, pepper, that kind of thing). But if it’s a fresh good, I need to buy it the day that I go cook for the family. The cost of these items is built into my service fee. What do you do with leftover groceries? Amy: I’m pretty good at buying the right portions that I need, but if I have to buy a dozen eggs and I only use 8 of them, I only charge the client the prorated portion of what I’ve used and those other eggs come home with me or I ask the client, "Do you want me just to leave these for you?" Some clients just say, "You know what, we’ll just keep that half a bag of rice and we’ll cook it at another time" or they say, "Just take it home with you" and I just prorate the cost to them. Sometimes with dry goods, such as rices and spices and pasta, a client will have a space dedicated in their pantry for me and I keep track of what I have at their house. The next time I cook for the client, I don’t have to go buy something. There’s different ways you can handle that situation. Karen: That depends on the client. Sometimes I do try to buy in bulk because if I need a cup of rice, I can’t just buy a cup of rice. If it’s something like pasta or any pantry ingredients, some clients don’t want to have any of that in their house. They’ll just say, "Take it home." Something that’s unopened that I didn’t use, I’ll just put it in their pantry for next time. But my clients pay for groceries, so they own it. They’re their groceries. Do you have any advice for someone who is just starting out as a personal chef? Amy: Do some research on the internet. There are different personal chef organizations that can help you get started. I joined the Personal Chefs Network . They have a free forum online where you can ask questions. One of the most beneficial experiences I had was when I worked in a gourmet café. It gave me confidence to start my own business and make a career of it. It’s fun. It’s one of those jobs that I finally found something that I really love to do. It doesn’t even feel like work to me. What’s the Personal Chefs Network? Amy: The Personal Chefs Network is an organization that has about 600 chefs that belong to it worldwide. It basically offers you support for being a personal chef. Basically, I’m my own boss and the organization provides resources to help me find answers to any of my questions I have - anything from being ServSafe certified, insurance questions (I have to be insured as a personal chef), and recipe questions. It's a support group of personal chefs from all around the world. Amy: Oh, it is great! You don’t feel so alone, because working as your own boss, sometimes you feel like you’re all by yourself and this is like your coworkers that you can rely on for answers to questions. Karen, what advice do you have for aspiring personal chefs? Karen: I think the biggest piece of advice and the biggest challenge for me has to be being really organized. The cooking comes easily for me (that’s something that I can do when I get in somebody’s house). The part that I have trouble with is making a list to make sure that I have all the tools I need and all the groceries that I need that day because you don’t want to be in the middle of cooking 20 portions of somebody’s food and realize you forgot something. You are in charge of this whole business because you are doing basically the bookkeeping, the marketing, and the shopping. It’s really important to be organized. What do you do when you forget things? Karen: I forget things almost all the time. I’ll improvise. If it’s not something I can improvise, I’ll just talk to the client and say, "I forgot this ingredient," or, "Can I borrow your blender?" It usually works out fine. It’s never like a tragedy. I’m well prepared enough that everything I really need is in my kit, all ready in my car. I guess you should be flexible as well as being really organized. Amy: Sometimes, I forget to bring something or the client doesn’t have something that I need, and I’ll just have to improvise and try to figure out the best way to create their meal for them. Amy: I am self-taught. I have always liked to cook since I was probably ten or twelve years old. I started out watching Julia Child and The French Chef and went from there. I just cooked for my family and my friends and really enjoyed it. I read cookbooks, Bon Appetite, and Gourmet magazine - anything I could get my hands on. I just taught myself and little-by-little got the confidence to go out and tell other people, "I’ll cook for you." Karen: I’m mostly self-taught. I’ve worked in restaurants since I was 17 (all over, front and back of the house). I decided after college that I really loved food and wanted to go to cooking school and I looked into cooking schools, but it just wasn’t the right time for me to do that. The schools I was looking at (we were living in South Florida) were in New York or elsewhere, so I just got jobs working in restaurant kitchens and kind learned on the job. I did that for a while. Then, I started selling wine because that was something I was really interested in, so I did that for a couple of years too. How did you decide to become a personal chef? Amy admires Ina Garten's recipes. She used them as the basis for many of the dishes at the gourmet cafe where she used to work. Amy: I’ve always liked cooking. I was a commercial real estate appraiser for about 10 years, then I took some time off for having my kids. After my kids started grade school, I decided I would like to do something else. I was working at a small gourmet café and was trying to find something different that would fit in with my family where I could still work and cook. I actually found the Personal Chefs Network and just started reading about being a personal chef. I found out that it could fit in well with my lifestyle. I can cook for other families during the day and still have time for my family at night when they are home. Karen, how did you decide to become a personal chef? Karen: I was ready to do something. I’ve done dinner parties over the years for friends or fundraising events. My youngest, my son, started first grade and he was going to school all day, and I knew that I wanted to start getting back working. It’s been about ten years since I really worked outside the home and did something. I’ve always been involved in food and cooking and I initially thought, "How could I do dinner parties?" because that’s what I was doing. I love doing dinner parties like up to twelve people where I design the menu, the table, and do the flowers - the whole thing. That’s how I found out about this whole personal chef thing. I didn’t even know what it was. I thought that this could work for me, because I could make my own hours. I employ myself. I get to be creative and so far, it’s been good. Do you often cook for yourself? Amy: Yes. This is how it all started. I would make so much food for my family that I would be passing it out to friends, and I needed someone else to cook for. This is a good way for me to share my love of food with other people. I also keep a blog about the meals I prepare for my family. Hopefully it will help people who do like to cook but have a hard time figuring out what to make for dinner. That’s the central focus of my blog - that they can go there and find dinner ideas that may be a little bit different than they are used to, but still easy to prepare. I have three kids who are all active in sports and activities and my husband and I need to get them where they need to go. But it is also important for us to still have a family dinner. I like to provide that for my family. I like to also tell other people how you can make a good family meal - maybe something a little different, and it does not take four hours to prepare it. 30 minutes and you’re done and you’re sitting down. Karen: Some days it’s really long - if I’m cooking five meals for a client I’ll be gone for six hours or more - so I’ll come home and be really tired but also, because I’m in that work mode, I’ll just start cooking something. I still cook. Do you make yourself the same kinds of meals at home that you make your clients? Amy: Yes, pretty much. Sometimes I practice recipes that I make for my clients on my family to see if they would like them. Because a lot of my clients have a similar makeup as my family, I’m always practicing new recipes and trying things out. Karen: I think the way that I cook at home is a little different from the way I cook for clients, just because of the types of meals that are going to present well after being in the refrigerator (something that they can assemble - you can’t do seafood that well). I don’t like to freeze fish. There’s certain ways of cooking that I wouldn’t do for clients. I love to do real simple things at home with fresh vegetables on top, like kind of serve a one dish thing. When I cook for clients, I get a chance to think more about what I’m cooking, as opposed to, "What are we having for dinner tonight?" That’s more how I cook at home. I throw together a meal. What’s you’re favorite meal to prepare? Amy: Well, my favorite meal is a seafood boil: mussels, clams, lobsters, sausage, red potatoes, fresh corn on the cob - that kind of thing. We’ve already had it twice [this week on vacation]. We’ve eaten so much seafood here, it’s crazy. Last night, we had 15 pounds of lobster and I just made them into lobster rolls for lunch today. Karen: The way I love to cook is Mediterranean, Asian, Latin kinds of foods (really big flavors, but freshly made). I use a lot of whole grains and vegetables and lean protein and things like that. There’s not a favorite thing you make? Karen: Not really. I have favorite flavors. I love Mediterranean food and I love spicy, Middle Eastern food. I use a lot of spices in my cooking, and fresh herbs. That’s really important to me, but I love to cook everything. Tell me about your blogs. Amy: Oh, I love doing the blog. I’m on vacation now. I’ve gotten some recipes from my family that I’ve put on there. It's interesting to see people from all over the world reading my blog and commenting. It’s nice when someone says, "I made that recipe you had on your blog. It was really good. Thanks for the recipe." I like helping other people try new recipes. Making something a little different doesn't need to be an overwhelming task. A little planning goes a long way. My blog provides the recipes and reviews from my family. Hopefully, my readers will give a few new recipes a try. Karen: One thing I want to pursue more is food writing. A couple of years ago, my friend Alanna called me. I hadn’t read it before, but she had a blog. I didn’t really know what a blog was and I kind thought about it and was thinking of pitching an idea for a column to a local newspaper. I thought, "Why don’t I just start a blog? That way I can just write whenever I want to and I can sort of start practicing and working on my writing and cooking." I started the blog and it’s become a habit. I can’t devote that much time to it, but I have joined this other world of people. It’s amazing how many food bloggers there are. It blows my mind. With my blog, I want to show the way I cook because, obviously, everything that’s on my blog is something I do cook. But, I want it to be recipes that are easy and appealing to people. Sometimes I think that might hinder me in terms of posting more. If I posted everything I cook, you wouldn’t want to look at it, probably. I like it to look good and be appealing. Has it helped with your food writing like you thought it would? Karen: Oh, I think definitely. I think the self-editing part can be hard. My husband’s an editor and sometimes he’ll look over a post after it’s up there and he’ll say, "You spelled this wrong," or, "Change that." I think that part is hard, but I think not having any restrictions on what you write (you really can talk about anything you want) has been a good exercise, definitely. Amy: I would like to interview Julia Child, but that would be kind of difficult now. She was a big influence on me. I actually got to meet her once at a cookbook signing. She told me to follow my dream. 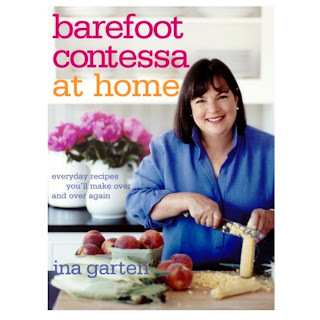 I might also want to interview Ina Garten. Her recipes were the basis of my cooking when I started cooking at the gourmet market. I like her straightforward style of cooking with easily accessible ingredients. She makes preparing great food easy. Karen: I always really revered Alice Waters. She’s the person that really got me interested in cooking the way that I love to cook with fresh ingredients. She was sort of my inspiration way back when I first became interested in food. Karen did the food for a four-day event for eight in my home back in May -- the food, the service, they were both amazing. And it was so great to have home-cooked food -- really good, fresh home-cooked food, mind you -- since we WERE at home. It made the event extra-special, making it seem homey. Stef, I truly appreciate what you do on this blog. Thank you. Cynthia - Thank you! That mean a lot to me!